Clinically proven GlycoFlex 3 Hip and Joint Supplement for Small Dogs has been specially formulated and balanced to meet the needs of small breeds. This joint support supplement represents stage 3 of our comprehensive joint support program-designed to maintain joint comfort and mobility through all the stages of your dog’s life. 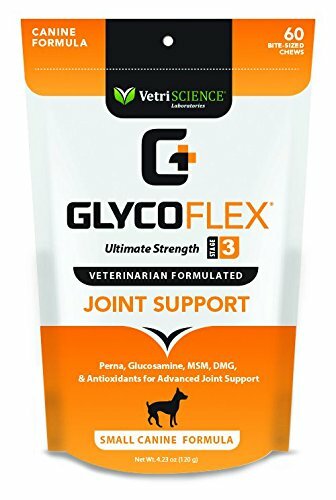 Recommended by veterinarians for over 30 years, GlycoFlex 3 includes higher levels of Glucosamine, MSM and Perna canaliculus for superior joint care. 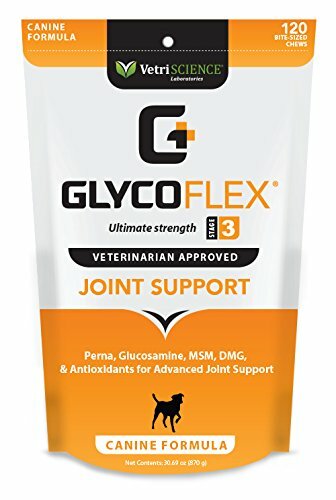 GlycoFlex 3 is suggested for active and competitive dogs to maintain top form as well as lap dogs and companion dogs for normal healthy joint activity. 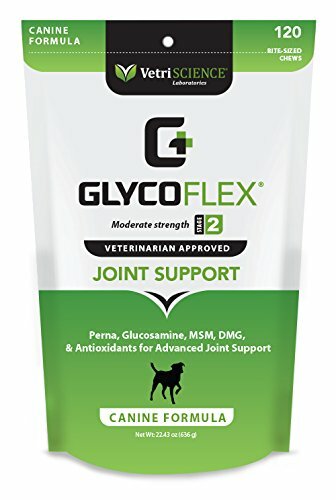 GlycoFlex 3 also provides maximum support to small dogs showing more serious signs of aging and discomfort as well as limited mobility or dogs in recovery after orthopedic surgery.